Now that we have finally finished renovating our new home I can finally get back to finishing my back log of trip reports! 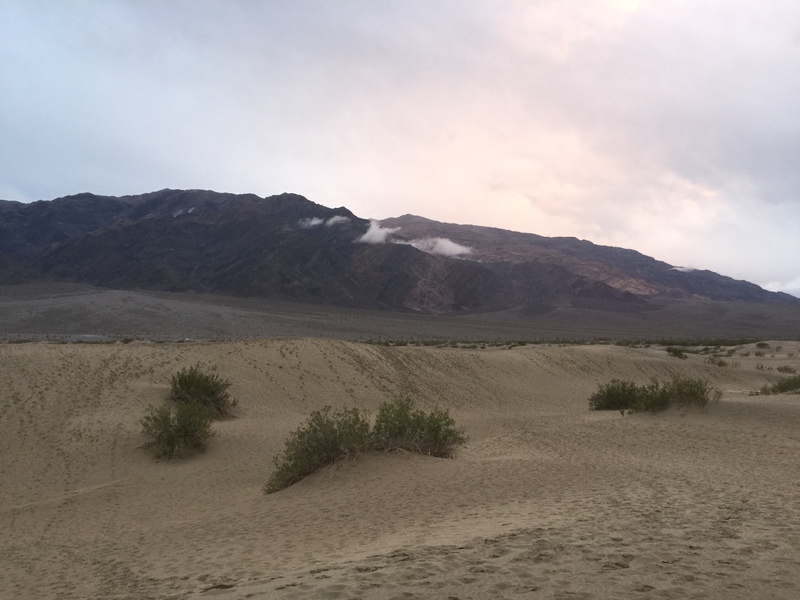 The last point of interest in Death Valley was the Mesquite Sand Dunes. 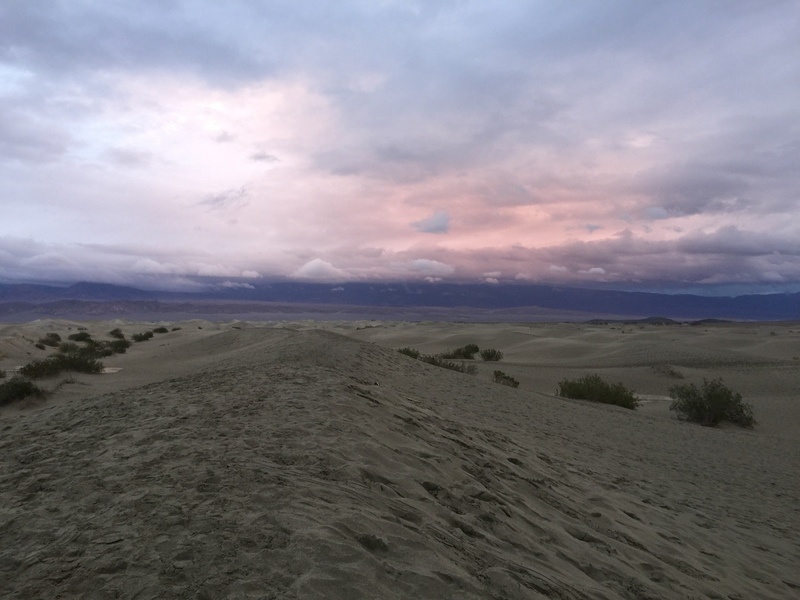 The Mesquite Flat Sand Dunes are a popular stop in Death Valley due to their proximity to the road and overall beauty. The dunes in the area vary in size and were created by wind blowing sand particles into the area where they were then trapped by the geography of the area. The largest dune is known as “Star Dune” and is relatively stable due to its position in the area where multiple winds converge to form the dunes. Despite being such a popular stop we arrived later in the day with poor weather so there wasn’t much of a crowd. 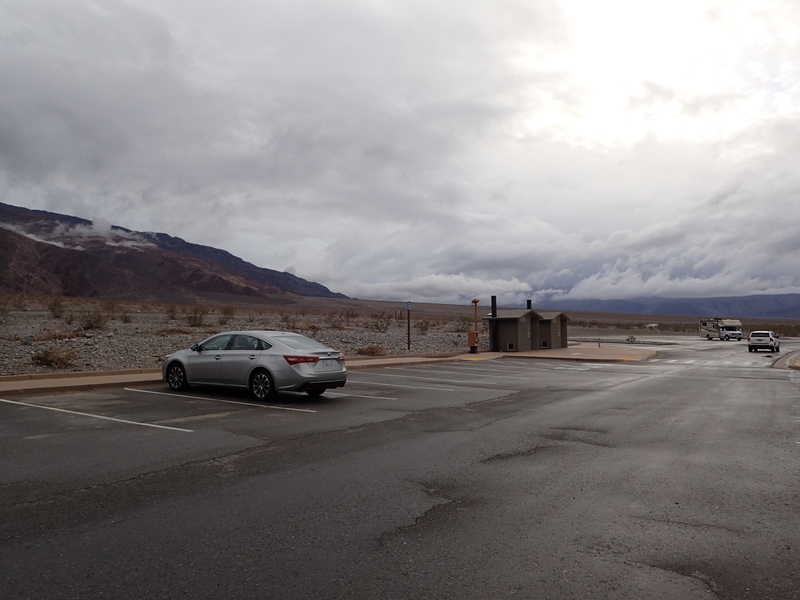 View of the empty parking lot. We didn’t plan on doing a long hike so we didn’t really gear up for the hike out onto the dunes. From the parking lot a well established path in the sand leads you out onto the dunes themselves. View of the path leading out onto the dunes. From here there is no marked trail but it is easy enough to see the tracks left by previous visitors. In general we found it easier to just stick to these paths along the ridges of the dunes. These spots tended to be more stable and you could avoid slogging through loose sand. Anyone who has spent time running on beaches knows what I mean. View looking out onto the dunes. 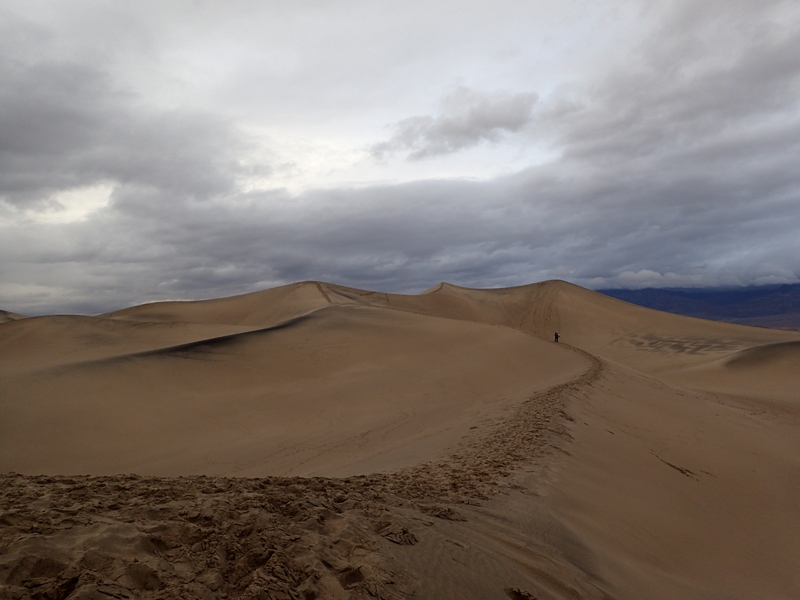 Despite being relatively close to “civilization”, walking out on the dunes has a way of making you feel small. The views are also incredible in every direction which only adds to the majesty of the area. We were also lucky enough to be there at sunset after a storm so the colors in the sky were especially beautiful. Looking back to the parking lot and the mountains beyond. Taking in the rainbow of colors in the sky. Since there isn’t really a trail to speak of it is up to you to decide how far you would like to go exploring the area. 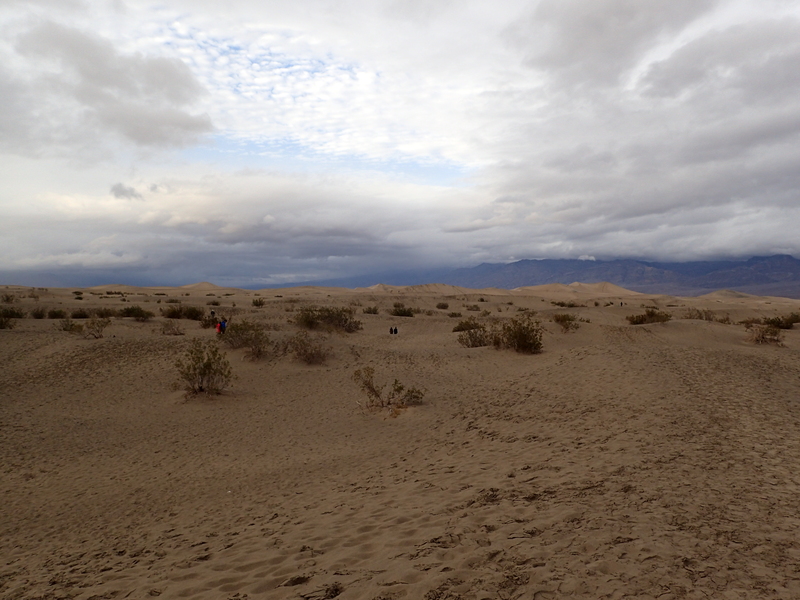 We decided to just head out towards the biggest dune in the distance which is deceivingly far from the parking lot. Looking out along the ridges of the dunes. The hike was simple but very enjoyable. I have never had the pleasure of hiking on sand dunes of this size so it was pretty fun and unique for me. 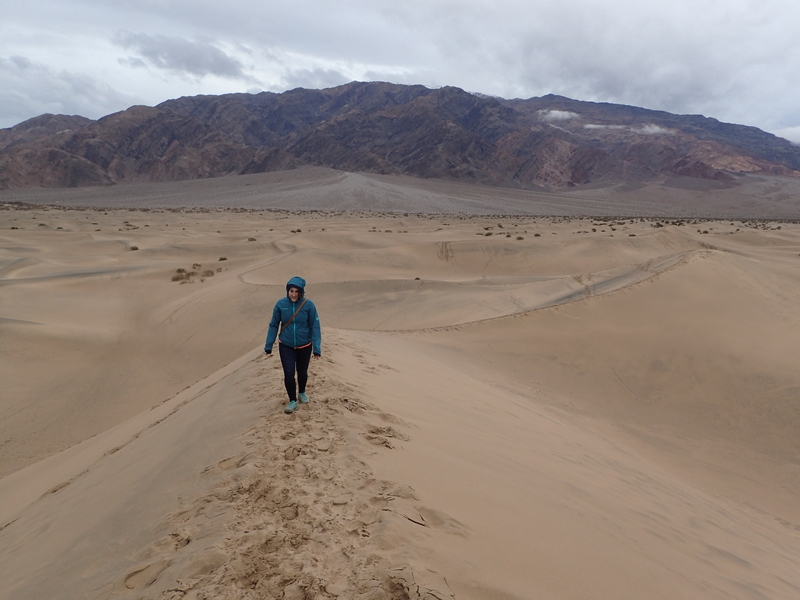 Kelly making her way up the last set of dune ridges. 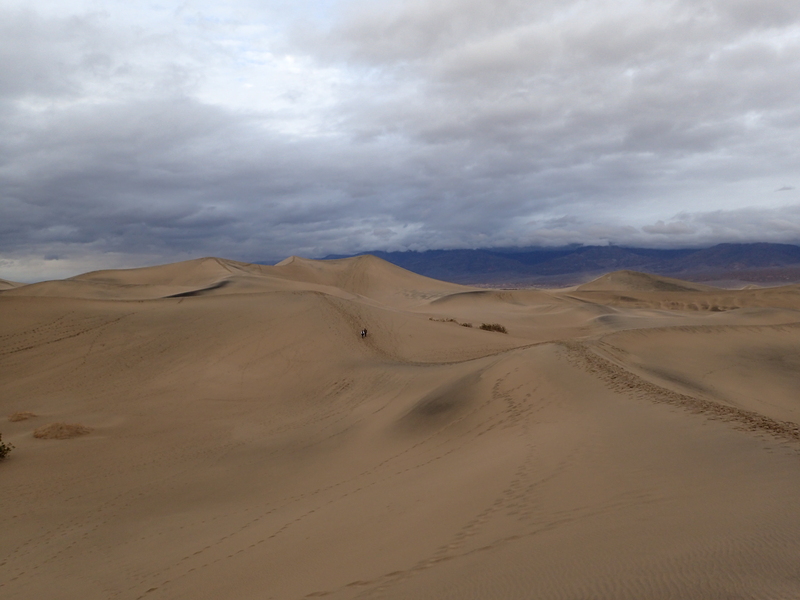 Before too long we were making the final approach up to the top of Star Dune and as we did the wind really picked up. Luckily it had rained during the day so the sand was wet enough that it wasn’t blowing into our eyes. 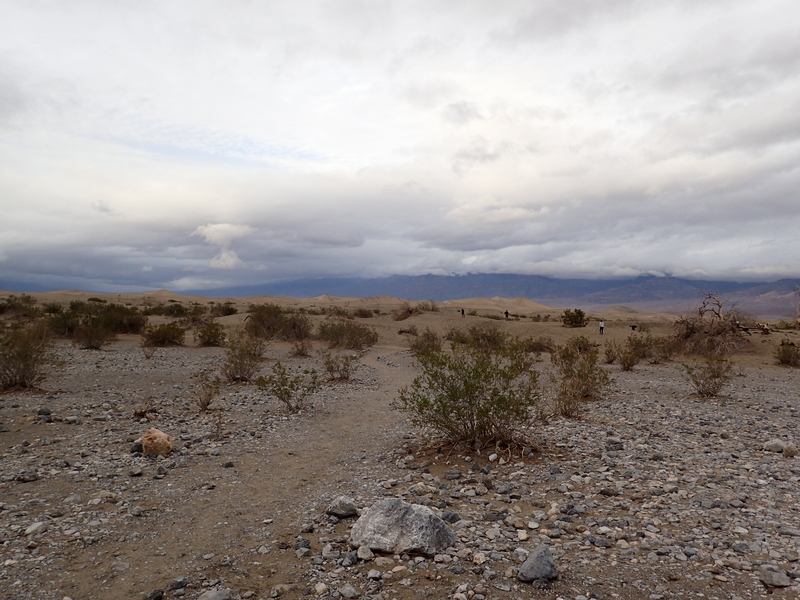 View of the “trail” along the dune ridges. 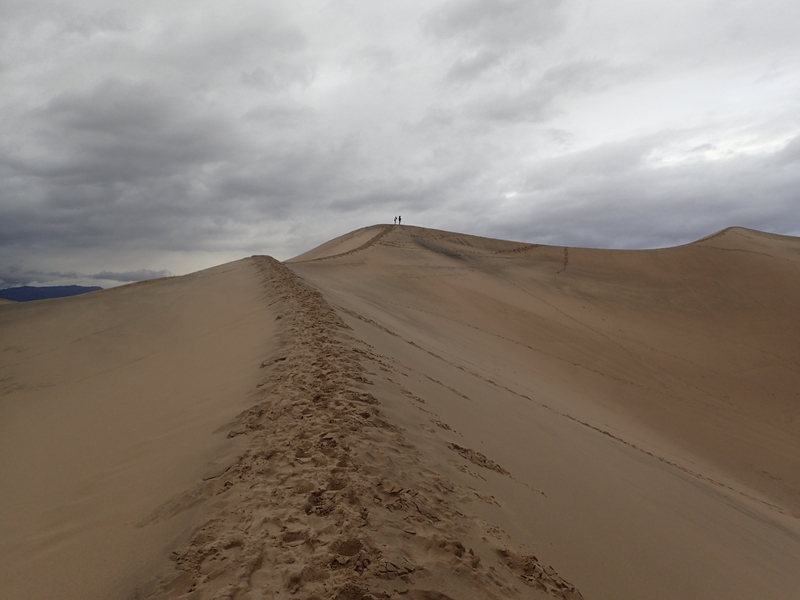 Final approach to the top of Star Dune in the distance. Once on the top of Star Dune we had a commanding view of the valley surrounding it which made it all worth it. However, there was one more big plus to going all the way out to the biggest dune which was running back down it! For whatever reason I was the only one interested in making a high speed descent down the dunes steepest side. Lucky for me I managed to not trip and fall on my face. The video is included below! After making my rapid descent I waited for the others to catch up after walking down and around. From there we enjoyed the sunset at a leisurely pace as we made our way back to the car. 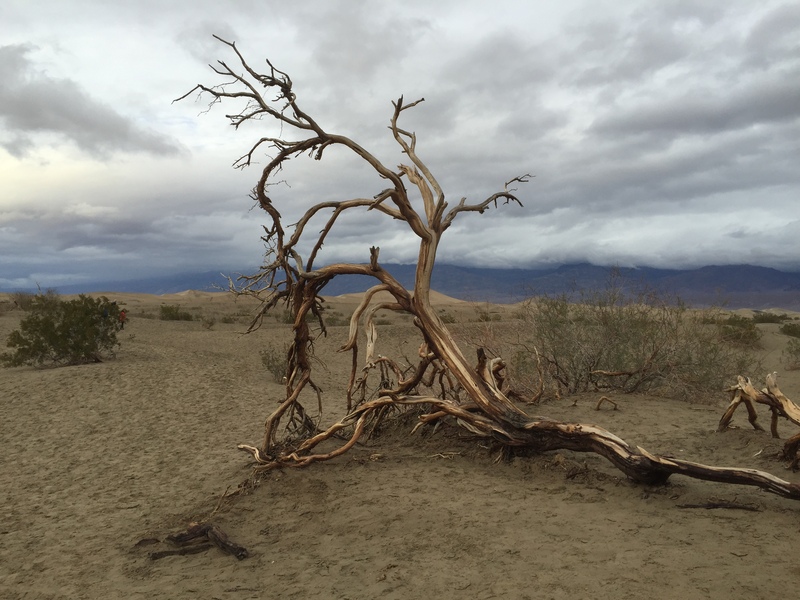 It wasn’t a lengthy stay at the dunes but I would highly recommend you stop and check them out if you are passing through Death Valley National Park.